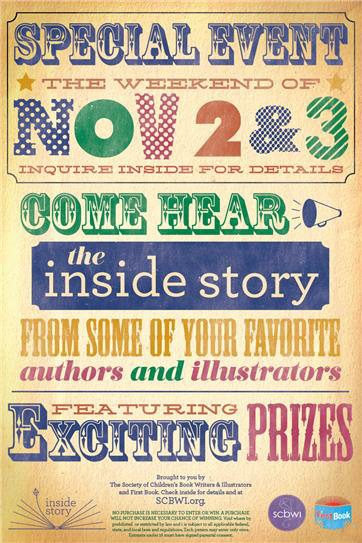 I'm looking forward to being at The Odyssey Bookshop this Sunday, November 3rd in South Hadley, MA- as part of SCBWI's "Inside Story" Event, where you will get the inside story from some of your favorite authors and illustrators. Come support an independent book store, and the best part is that First Book will donate a book to a child in need for every book purchased at the event. For more information, check it out here- and if you are local, please drop by!